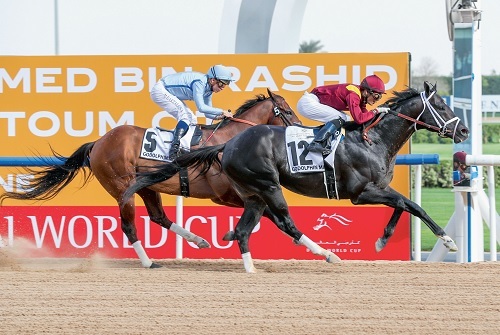 Over 1600M ON the Meydan dirt surface, the $1.5 million Group 2 Godolphin Mile produced a thrilling finish with Heavy Metal looking set to defend his title only to be caught in the dying strides by Coal Front. 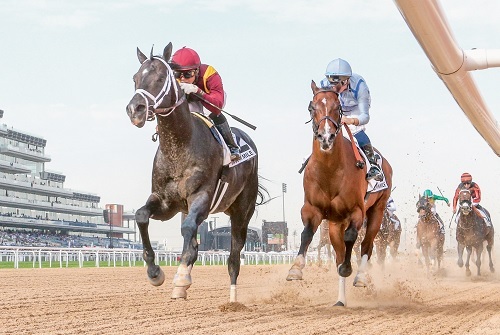 Trained by Todd Pletcher for Robert LaPenta and Head of Plains Partners, the 5yo rig was drawn wide in 12 and not able to get to the front under Jose Ortiz, who had hoped to do so, but forced to track Heavy Metal, Muntazah and Good Curry. The last named was the first to crack with Muntazah looming large alongside Heavy Metal at the top of the straight before weakening with 300m to run. That left Heavy Metal clear with a seemingly insurmountable advantage but Ortiz had a willing partner who finished off his race in style to put his head in front where it mattered. 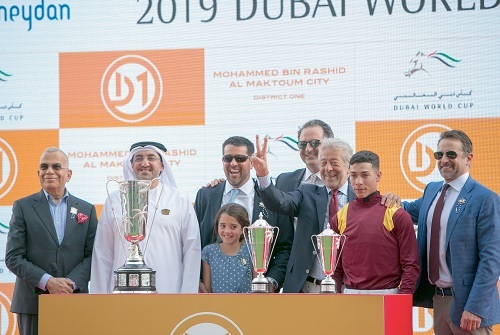 The winning verdict was three parts of a length with Ortiz making his first UAE mount a winning one as well as supplying Pletcher his maiden local success with his 17th runner. 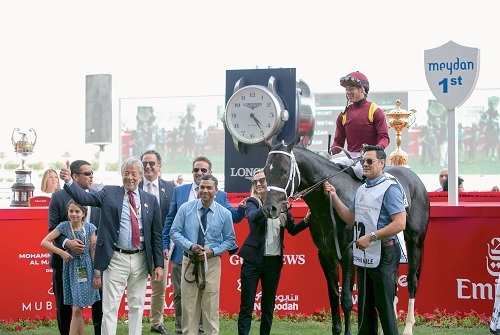 The trainer said: “He had a fantastic run and was given a great ride. Our whole team is very proud of him.” Co-owner, Sol Kumin, added: “He has had some health issues, on and off but always had a ton of talent. And Todd Pletcher has done a great job with him. We thought we would come back to the mile trip and everything worked out well. It was worth the trip. “We were lucky enough to own a part of Mind Your Biscuits a few years ago.